In this one day workshop you will be introduced to Keum-boo, the art of fusing high karat gold foil to silver. You will begin by rolling down gold sheet or grain into the proper thickness for foil. The gold foil is thick enough to be cut with scissors or paper punches – two tools that make repeating patterns easy. 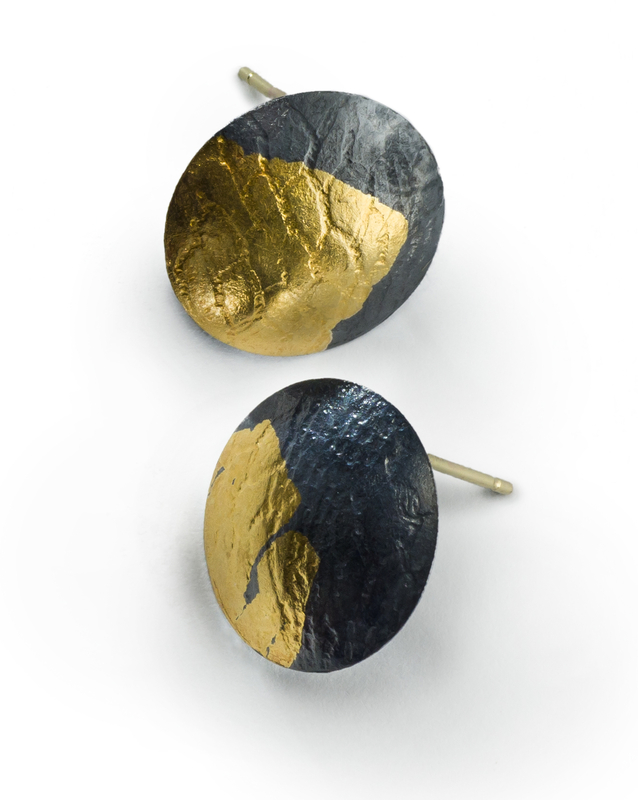 Then by using gentle heat and burnishers, the thin layer of gold is fused to the silver surface to make a lasting bond. This technique is very accessible and can be used to accent designs with gold at an attractive price point. Keum-boo is a decorative process that is informative for beginners and practiced jewelers alike. Come and spend the day with our visiting artist Shirly Bar-Amotz to learn this special technique. A lecture by the artist about her work will be given after the workshop at 6pm. The workshop fee includes the price of the lecture.